Convenient, safe and secure service for personal and business purposes. Discover what a little extra space could do for your home or your business with our self-storage units. Self-storage units are all about putting you in control of your property. Whether looking to store a handful of items for a few weeks or much larger quantities long-term, we make self-storage uniquely flexible and affordable. We understand the importance of peace of mind for our customers, which is why our site is monitored 24/7 for outstanding security. What’s more, our customers also enjoy 24/7 access (upon request) to their property, 365 days a year. Self-storage units are the ideal option when space is limited at home or at work. From relocation to property storage during refurbishments to simply ridding the home of clutter, we provide you with the space and security you need to get the job done. 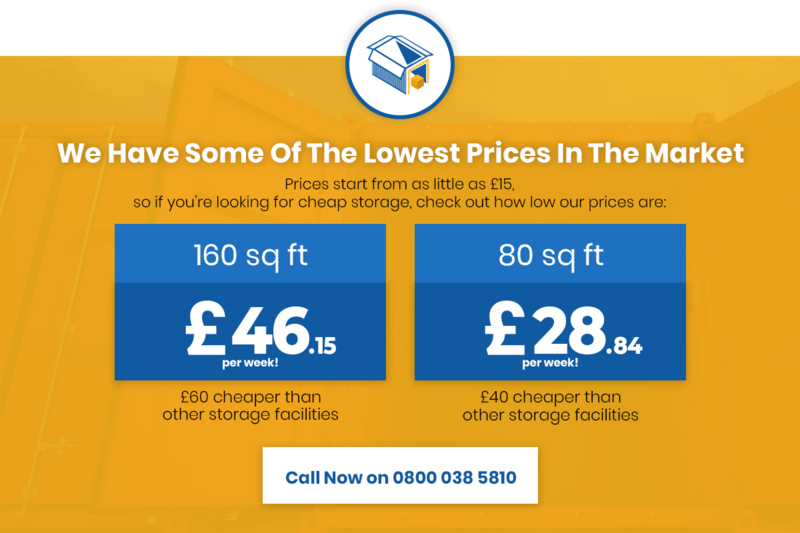 Providing self-storage units in a variety of shapes and sizes enables us to keep our prices at least 30% lower than market averages. Plus with no long-term contracts to sign into, we can adapt our services to your needs at any time. When a little extra storage space could make all the difference, our self-storage facilities are here to help.